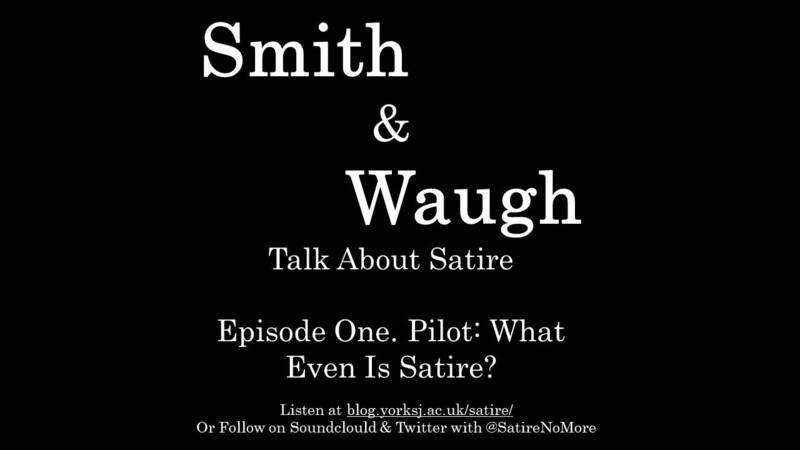 Smith & Waugh Talk About Satire: Literature Lecturers Launch New Podcast! - Words Matter. Smith & Waugh Talk About Satire: Literature Lecturers Launch New Podcast! 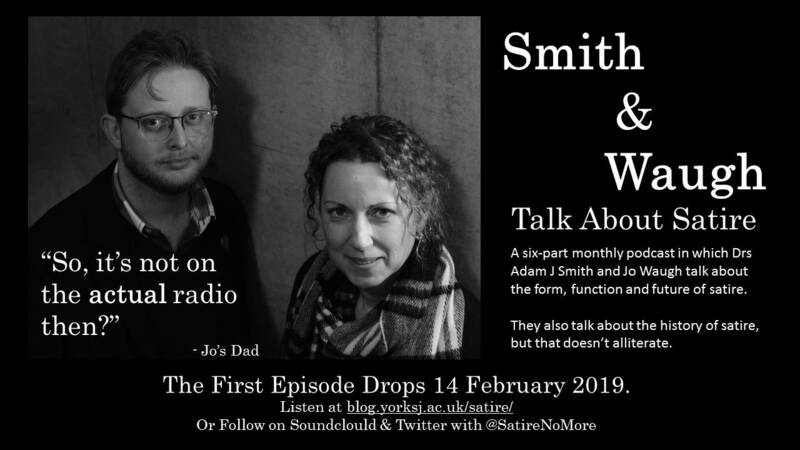 Spinning out of the ongoing ‘Satire: Births, Deaths and Legacies’ project, a new monthly podcast sees Drs Adam J Smith and Jo Waugh talk about the form, function, future and history of British satire. Satire is both an urgent topic and one with a long history. Journalists, and satirists themselves, regularly make the claim that “satire is dead” in a world of “fake news”, or news that seems too incredible or too unpalatable to be true. Yet satire continues to emerge, in forms both professional and amateur, elitist and popular. Satire: Deaths, Births, Legacies looks to draw together researchers and practitioners working on projects which variously historicize, problematize, theorize, teach, and perform satire and satirical material. This project seeks to contribute meaningfully to what is becoming a national conversation about the form, function, and future of satire. In their new podcast, Jo and Adam will be joined by a range of guests, including scholars and practitioners of satire. The first episode, ‘What even is satire?’, comes out today, and you can listen on the project website or via Soundcloud. Adam and Jo start by talking about the biggest question of all. What is satire? What did it used to be, and what is it now in the age of Twitter, Trump and Brexit? Jo and Adam are joined by Gráinne O’Hare (Newcastle University) and Katie Snow (University of Exeter) to talk about the relationship between satire and celebrity and consider the position of the woman as satirist and the subject of satire. What is the difference between a satirical novel and a novel with satire in it? Adam and Jo are joined by Dr Helen Williams (Northumbria University) to talk about one of the best known satirical novels of all time: Laurence Sterne’s The Life and Opinions of Tristram Shandy, Gent. Do you need words to do satire? If a picture can say a thousand words, how much satire can it do? Adam and Jo are joined by Wendy McGlashan (University of Aberdeen) to talk about eighteenth-century print-maker, miniaturist and satire merchant, John Kay. Should satire make us laugh? Is satire always funny? Why do we laugh at things anyway? Adam and Jo are joined by Dr Kate Davison (University of Sheffield) to talk about the social history of laughter, and the various satires of the eighteenth-century tavern keeper Ned Ward. It’s a big satirepalloza as Adam and Jo talk to both returning guests and (some very special surprise guests!) about what the future holds for satire. Let Adam and Jo know what you think either on Twitter (@SatireNoMore) or by email (SatireNoMore@gmail.com).